Come explore your place within the great spiritual revolution of the early 21st century. Join a community of spiritual seekers and author Ralph White as he shares a retrospective on the consciousness movement and the ways we participate in it, from travel to mysterious esoteric lands, to urban spiritual activism, and quiet contemplative inquiry. This will include sacred history, cultural revolt, the emergence of new learning, and the road that carries the seeds of the human future. A planetary awakening of consciousness has been gaining momentum over the last half century, and both Swami Sivananda and Swami Vishnudevanada were spiritual leaders in this movement. 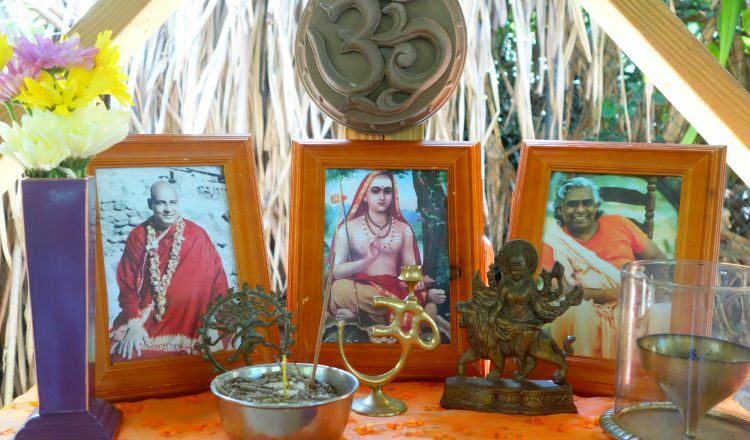 Today, the Sivananda Ashram Yoga Retreat is a testament to their life’s work, serving as a gathering and resting place for generations of spiritual students and teachers. In this program, we will come together in the spirit of the spiritual quest to gain perspective and inspiration on our journeys. Offered as two evening satsangs and two afternoon workshops. Ralph White is co-founder of the New York Open Center, America’s leading urban institution of holistic learning, and currently serves as Creative Director. Author of the recently released, The Jeweled Highway: On the Quest for a Lie of Meaning, he is an international speaker on spirituality, consciousness, and the history of the Western Tradition. Ralph taught the first fully accredited course in holistic thinking and learning at New York University, is also editor of the award-winning Lapis magazine, and has edited and/or contributed writing to many publications, including the Huffington Postand the books What Does It Mean to be Human, The Way of the Wanderer, and Tibet: True Stories. Rudolf Steiner (1861–1924) was perhaps the most remarkable spiritual figure of the Twentieth Century. Yet his profound wisdom concerning the deepest mysteries of human existence remains surprisingly little-known in America. In 6,000 lectures and over 25 books, he gave the modern world the most beautiful, moving and inspiring picture of the human condition. His insights into reincarnation and karma, the journey of the soul after death, the nature of the angelic realms, the evolution of consciousness, the significance of the ancient mysteries, and the intense spiritual challenges of the present time, provide a contemporary esoteric path rich in meditation practice and highly relevant to the present moment. Known today mostly through his origination of Waldorf Schools and biodynamic farming, Steiner was both a practical and spiritual genius of the highest order. His exquisite wisdom awaits discovery by many who walk the holistic and ecological path. As many of you know, I have studied Rudolf Steiner now for 27 years and continue to be amazed by both the depth and breadth of his wisdom. I can think of no figure from the Twentieth Century who is more deserving of our attention in the 21st Century. So I hope you’ll join me for one or more of these evenings. Those of you who may already have attended one of my courses on Steiner will be interested to know that the long-awaited documentary, The Challenge of Rudolf Steiner, will have its New York premiere at the Open Center on Tuesday, August 14th. We will be joined for the occasion by the film’s director and writer, Jonathan Stedall, who has a distinguished history making documentaries for the BBC with films on Gandhi, Tolstoy and Jung. I believe he has created an outstanding work of enduring value with his latest film. Whether you attend as a coda to my series, or come simply for the film itself, I can guarantee you will find the evening moving and inspiring. The last 40 years have seen an explosion of interest in consciousness, spirituality, holistic practices, green values and esoteric worldviews. Without this profoundly creative impulse of renewal, with its many positive consequences in wellness, psychology, meditation, music, ecology and the embrace of a multicultural future, our society might well have continued unabated on a course of decline and empty materialism. How has this consciousness revolution come about? Where do its roots lie? How did it find expression in the ’70s, ’80s and ’90s, and where is it going today? Join Open Center co-founder, Ralph White, a person at the heart of the holistic awakening, for a journey into sacred history, cultural revolt, the emergence of centers of new learning, and the long road from the cultural periphery to a worldview that carries the seeds of the human future. The Greek mysteries, the Platonic Academy of Florence, Bohemians and alchemists, the Celtic Revival and early 20th century esotericism. The explosion of consciousness in countless spheres-the journey to the East, the sexual revolution, psychedelia, and the music of conscious rock musicians opens the way. Inside the new centers of holistic learning as multiple shamans, lamas, bodyworkers, therapists, esotericists and ecologists create a holistic culture. The transformative power of holistic ideas as mainstream America awakens to natural foods, the yoga boom, integrative health, meditation, green innovations, and the soulful Zen of Leonard Cohen. A History of the Holistic Movement: Where did it come from? Where is it going? Many people today imagine that the holistic and spiritual movement in modern culture emerged out of nowhere in the Sixties. In fact, its roots go back to the latter part of the Nineteenth Century when vegetarians, esotericists and students of mythology and eastern religions first appeared in large numbers and influential quarters. This evening examines how the holistic worldview first appeared, its evolution throughout the twentieth century in both America and Europe, and its role as an essential ingredient of modernity. We will examine and enjoy some of its great personalities and periods, and its growing permeation of mainstream culture. I n the history of the ‘consciousness’ or ‘holistic’ movement, the 60′s hold a very special place. While a strong impulse of spiritual renewal outside conventional religion began in the late 19th Century and flourished prior to the First World War, it was marginalized for fifty years until it reemerged with a psychedelic glow and a rock and roll beat courtesy of The Beatles and countless others. This evening examines the connections between the rock music of the 60′s and early 70′s and the explosion of interest in mystical and esoteric philosophies that continues today. This talk is a meditation on how popular music embraces the spiritual, from George Harrison to Leonard Cohen. Rudolf Steiner, the Austrian philosopher, educator and spiritual teacher, is arguably the Twentieth Century’s master of the big picture-the understanding of the profound, cosmic forces at work in the world and the vital necessity for spiritual awakening in a time of growing challenges to an authentically human future. He is known today mostly for his brilliant holistic legacy of Waldorf schools and biodynamic farms. But his esoteric teachings on the nature of karma and reincarnation, the existence of higher angelic worlds, the significance of Christ, the spiritual capacities that await realization in our souls, and the role of opposing powers in human spiritual evolution constitute a phenomenal treasure trove of sacred wisdom. This talk places Steiner at the forefront of gifted figures with a huge contribution still to make to today’s spiritual seekers. Rudolf Steiner is arguably the most remarkable spiritual philosopher of the 20th century. His profound research into the journey of the soul between death and rebirth through the realms of kamaloca and devachan remains the most compelling description of reincarnation spoken in the West in modern times. He also gave to the world a vast and beautiful picture of the evolution of consciousness from ancient India through Egypt and Greece to the present day. He spoke with great insight into the inner tasks of the 21st Century and the urgent need to transform the worldview that animates our culture from materialism to awakened, free spirituality. This workshop brings alive the enormous scope of Steiner’s work and suggests ways to meet the intense spiritual challenges of our time. Years before the translation of the Tibetan Book of the Dead, the great spiritual researcher and philosopher Rudolf Steiner gave stunning lectures on the life between death and rebirth that remain perhaps the most compelling description of the soul’s journey uttered in the West in the 20th Century. This talk describes the metamorphoses of memory after death through the purifying stage of kamaloca, when we review our lives backwards. It also considers Steiner’s insights into devachan, the heavenly world of cosmic intelligence and love. This workshop focuses on the practical spiritual exercises given by Rudolf Steiner for the vital awakening of hidden capacities that slumber in the souls of all of us. Different but complementary to the meditation practices of Buddhism and Yoga, these exercises emerge from a Western, some might say Rosicrucian, tradition of great potency. They include the development of the art of listening while the inner self is silent: awareness that in one’s own thoughts and feelings the deepest mysteries lie hidden; subtle observation of the sounds produced by animate and inanimate things; the maintenance of strong trust in the beneficent powers of existence; and The Study-reading with full awareness that esoteric phrases are not mere words but are actual inner powers. The words of Rudolf Steiner are filled with beauty and ever expanding meaning. They offer completely fresh ideas and practices that speak to the deepest yearnings of the human heart. A profound spiritual teacher and seer, he saw the necessity for us to seek knowledge of higher worlds if we are to face successfully the intense challenges of our age. We will consider the spiritual practices he introduced for the development of the soul, the evolution of consciousness, and the needs of our time. We will also address his penetrating wisdom on the significance of Christ, the angelic realms, esoteric history, and the ways to transmute the forces that hinder the emergence of ever greater love and freedom. In 1600, Prague was the center of esoteric life in Europe. The Emperor Rudolf II supported alchemists and Kabbalist, and the whole of Bohemia was alive with the last brilliant, spiritual flourish of the Renaissance. The years 1613 and 1614 saw the publication of the Rosicrucian Manifestos, mysterious documents that proclaimed a general reform of the world and amazed a continent. Few people imagined that the nightmare of the Thirty Years War was about to begin instead. Tonight’s illustrated talk brings alive this largely forgotten spiritual history of the West, and paints portraits of enigmatic alchemists and of the Winter King and Queen of Bohemia, final representatives of an epoch of enduring philosophical and artistic beauty. Today there is a growing awareness that the European Renaissance gave us, in many respects, the last occasion in which a truly holistic philosophy prevailed. From the Platonic Academy of Marsilio Ficino in mid-15th century Florence to the Rosicrucian Enlightenment in early 17th century Bohemia, many of Europe’s leading thinkers embraced hermetic philosophy, then Kabbalah, and finally alchemy in the quest to understand humanity’s place and role in the cosmos. Despite our embrace of the art of the period, sadly, we have forgotten the brilliant philosophy that stimulated the Renaissance Man. This lecture evokes the largely forgotten worlds that inspired three outstanding Open Center conferences, and considers their current relevance. This series looks at significant moments in the half-forgotten or neglected spiritual history of the West. We will move from the mysteries and beauties of Celtic spirituality, both pagan and Christian, through the amazing rebirth of esoteric wisdom in the Renaissance, to the Twentieth Century’s most encyclopedic spiritual philosopher, Rudolf Steiner. We will conclude by exploring the emergence of a contemporary, multi-cultural esotericism, and its vital role in the years ahead. We will consider the history of the Celts, the ancient culture of circles and battles, the sacred islands, the banshee, the tuatha da danaan, and the Grail legends. The Renaissance saw the powerful emergence of the ‘occult philosophy’ from Fifteenth Century Florence to Elizabethan Eng-land. Perhaps its most exquisite expression occurred in The Rosicrucian Enlightenment in the heart of Central Europe. Stunning in the breadth and depth of its wisdom, Rudolf Steiner’s beautiful articulation of Anthroposophia, with its knowledge of karma, reincarnation and higher worlds, awaits full integration into the contemporary cultural landscape. How does the Western Esoteric Tradition find its rightful place among the panoply of spiritual paths available today? What is its special gift, and why is it so deeply needed? This is an evening on the beauty and wonder of the greatest center of learning and culture in the ancient world. The cosmopolis of Alexandria at its height sur-passed both Athens and Rome in artistic and scientific achievement. All the knowledge of antiquity was gathered in its library, and the world’s leading scholars, philosophers, poets and inventors-Egyptians, Greeks, Persians, Jews, Romans and Gauls-were drawn there to produce unprecedented advances in wisdom from alchemy to Gnosticism, Hermeticism and Neo-Platonism. We begin this series with an overview of the ways in which the esoteric quest has been central to so many cultures throughout the centuries. From ancient Greece through medieval Andalusia to 15th century Florence and Renaissance Bohemia, the search for the deepest spiritual truths has guided the hearts of many. How has the quest both changed and stayed the same from Ephesus and Samothrace to New York today? Esoteric philosophers have spoken through the ages of a golden thread of mystery wisdom that has continued mostly unbroken, if often hidden, throughout history. Beginning in the West with the oracles and mystery centers of Ancient Greece and the Celtic world, it continued in the Middle Ages through the quest for the Holy Grail, and played a profound role in the brilliant culture of Andalusia, where Sufis and Kabbalists explored the deepest dimensions of the human heart. The Open Center has created international conferences on each of these themes over the last 15 years, and today Ralph White, who has been close to the heart of each of them, aims to bring alive the esoteric currents, spiritual impulses and extraordinary characters whose soulful legacy offers inspiration and beauty today. The 15th-century Platonic Academy of Marsilio Ficino outside Florence was the birthplace of the “more powerful philosophy,” the meeting of neo-platonic, Hermetic and Kabbalistic wisdom streams that deeply enriched the Renaissance and found brilliant expression more than a century later in the alchemical world of Prague and Bohemia and the genius of Elizabethan England. This afternoon’s workshop aims to paint a vivid picture of the spiritual worldview of philosophers, artists and alchemists of the time such as Pico della Mirandola, John Dee and Michael Maier. We will also consider how similar timeless, spiritual currents have fared in America, from colonial and revolutionary times though 19th-century transcendental writers to artists and visionaries of the present day. Esoteric philosophers have spoken through the ages of a golden thread of mystery wisdom that has continued unbroken, if often hidden, throughout history. This series aims to bring alive the esoteric currents, spiritual impulses and extraordinary characters who constitute the beautiful but often lost spiritual history of the West. We will begin with an overview of the quest for the golden thread of the Western tradition. From there we will turn south to consider the deep wisdom in medieval Spain with its Sufis and Kabbalists. The story continues with the emergence of hermetic and neo-platonic wisdom in Renaissance Florence. We will see how it spread throughout Europe to Alchemical Bohemia and Elizabethan England. Lastly, we will study the remarkable Austrian philosopher, educator and seer Rudolf Steiner, whose legacy grows stronger with each passing year. he silent, mystical beauty of so many parts of the Celtic world is an exquisite treasure to be deeply cherished. Over the millennia it has engendered a profound and influential spirituality and sanctity that, paradoxically, have often co-existed with a bloody warrior culture. The early Celts were known for their bravery in battle, their open sexuality and their love of strong drink. This evening’s talk explores many dimensions of Celtic history, culture and mysticism including the sacred islands of Iona, Lindisfarne, Enlli and Caher, the nature of the “other world” in mythology, and links with the Arthurian and Grail traditions. The remote parts of the Celtic world are, in many respects, the Tibet of Europe. Their silence, mystical beauty, and sense of distance from the bustle of everyday life give them a transcendent serenity that few places can rival. Hence Celtic spirituality, in both its pagan and early Christian forms, gave crucial significance to the maintenance of a healthy relationship with the natural world. 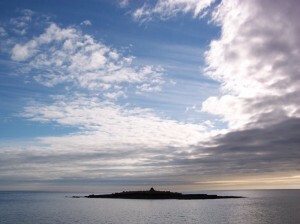 This evening’s talk looks in particular at Celtic sacred islands, the role of ‘the other world’ in Celtic mythology, and links with the Arthurian and Grail traditions. It also ponders the different manifestations of Celtic spirit in Wales, Ireland and Scotland, lands of the magician, poet and warrior, and the emergence of the post U2 cool Celt. The goal of the course is to introduce you to the main currents in holistic learning, especially as they have emerged over the last thirty years, and to explore their validity and relevance in the contemporary cultural and educational landscape.